I can't believe May is already here! 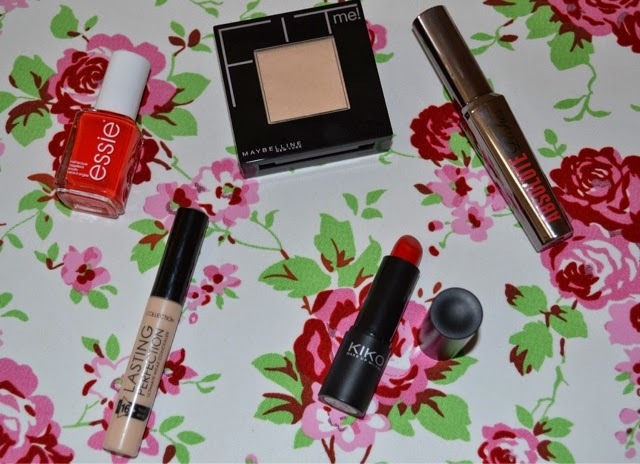 Now, I know the internet is full of reviews on these products, so I won't ramble too much, but here are my April Favourites which are all super affordable but also really great. I hope you like them! I have been faithful to the translucent powder by Collection for a long time, but this has won me over and is currently my go-to powder. It gives my skin a matte effect over my foundation or bb cream and sets my concealer really well. When added on top of concealer, powder can make your eye circles look a tad darker, but this doesn't happen with this product and it is what I like the most about it. My shade is 120 Classic Ivory and I also love how it comes a little mirror and a sponge for application on the go. The price of this concealer does not do it any justice. Again, this has been raved about multiple times, but I feel like I need to say my bit. My shade is 1 Fair (yes, I am that pale) and it highlights the darker tones of my skin and conceals my dark circles extremely well. The consistency is just right, the wand makes application super easy and it is not "runny" like most concealers and have I mentioned the price tag?! Only 3.99 at Boots! 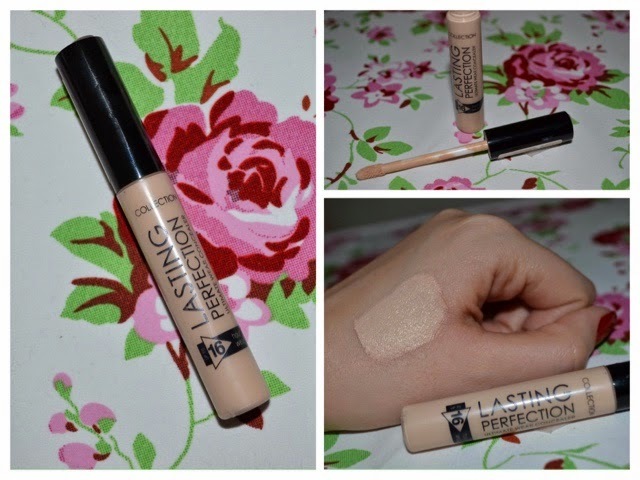 A must have in your make-up bag! W7 is a brand I recently discovered and so far, I am loving all of their stuff. I didn't really need a new mascara, but for £3 I just couldn't resist myself. It is designed precisely like They're Real by Benefit even down to the end bristles on the wand. 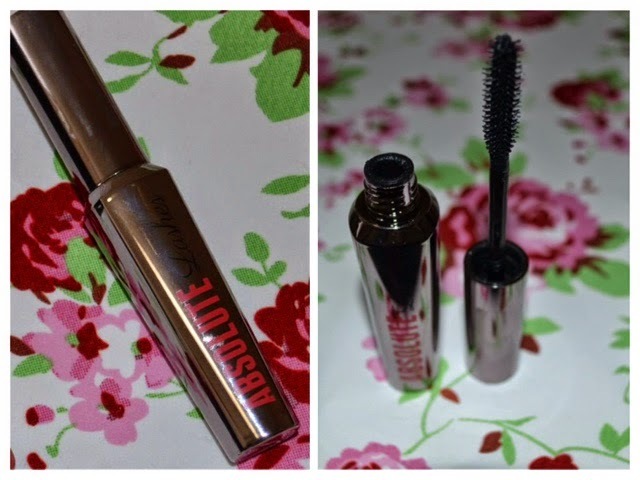 It's not my all time favourite mascara, but I gives me full and natural looking lashes, perfect for day wear and it is all I have been wearing lately. Such a rich and nourishing lipstick in a beautiful shade for less than £4. Only did I recently give KIKO stuff a try and wow! Mum and I picked up a few lipsticks and glosses (I decided to give them a try even though I dislike lip gloss very much) and the quality is unreal. This lipstick (in shade 908 True Red) glides so well on the lips and I find that it stays put for hours without needing touch-ups. The packaging is simple, yet elegant and I can't wait to try other things this brand has to offer! You know you have a problem when people ask why you are always wearing the same nail colour. I love all things Red, and yes this polish is very bright, but it is also elegant and classy and if I may so, I think it looks really nice on me. Plus, Essie's polishes last for about a week on your nails and they give great coverage with just one coat. This season I am betting on brighter nails and this is definitely the perfect shade and brand! What are your April favourites? Feel free to leave comments, links, reviews and anything else below. thanks for the visit Lauren. Awesome :) i really want to get the other shades. Such great quality at a low price! Thank you Maggie! I will check out your blog too. Glad to hear you like it dear :) do try them and let me know what you think! Great picks! 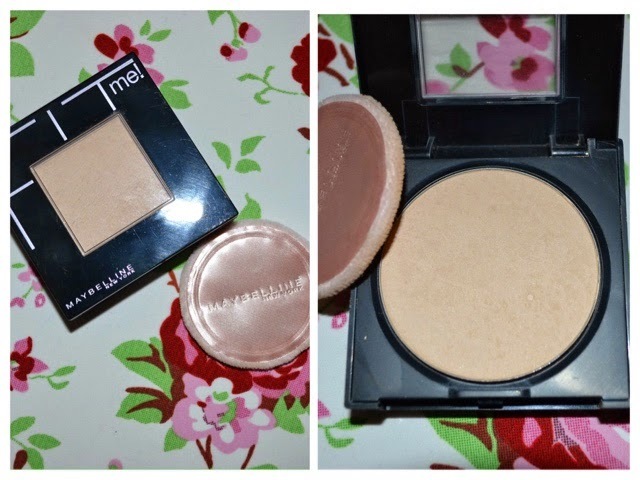 I recently just used up my Maybelline Fit Me pressed powder. It was such a great powder, especially for the price. That Essie nail polish is definitely my favorite of this haul. Beautiful color choice! Love that kiko lipstick ! really want to try the concealer but unfortunately we don't have it here and i can't be bothered to order it haha! That red lipstick is such a great shade. thanks for the visit Lizzie. You are very kind. That Kiko lipstick is so cute! They seriously need to build more of those stores in the US! if they dont have stores already in the US, they should totally build some :D this brand is soooo awesome and cheap!! Great post, the lipstick is a stunning shade! thanks dear :) checking out your blog. 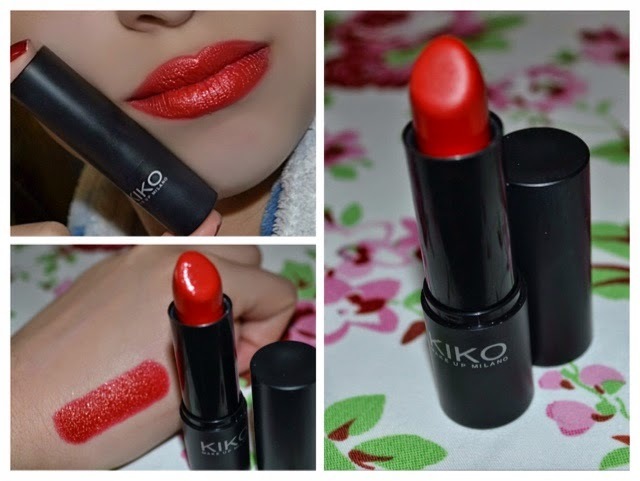 The kiko lipstick is marvelous, kiko is such an amazing brand and it's so affordable! 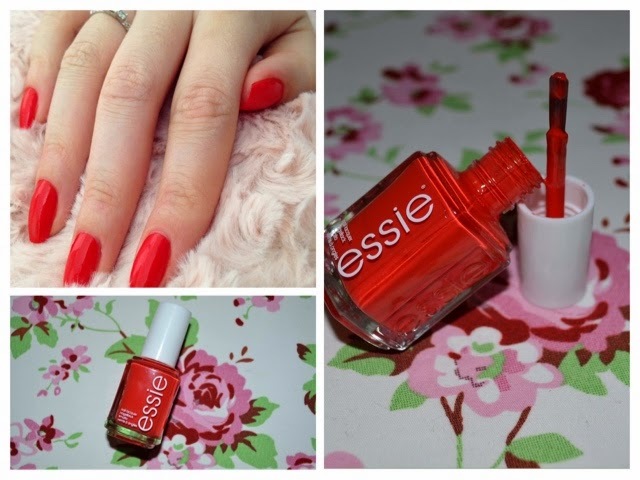 I need to try some Essie nail polish! I've gotten so lazy with painting mine recently but maybe splashing out on a new colour will help + the bottle is super cute! Great products! love the nail polish!!! thank you Andy :D you are so pretty wow!